A wedding venue for up to 220 guests. For references about us, our service, our menus, quality food, interior decoration, flowers, an advice, attention to detail, contact us for names. To discuss, or for advice, to plan and/or to make a reservation or appointment, please contact us. 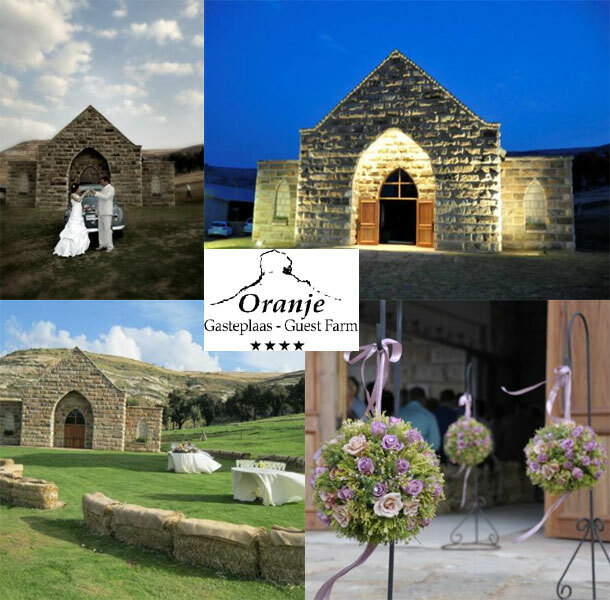 To book this venue or to send and enquiry visit Oranje Guest Farm.